OCO provides services and assistance to improve the social and psychological welfare of families and to maximize the family well-being and the academic functioning of children. The goal of this program is to increase awareness on epidemics, diseases and prevention, insurance laws and benefits etc. This will positively influence the health behavior of individuals and communities as well as the living and working conditions that influence their health. OCO collaborates with local health professionals and government agencies to provide lectures and forums on various subjects including epidemics, prevention strategies, local government policies, insurance laws, how and where to apply benefits etc. OCO provides computers and internet access at its office for any community member who wishes to take advantage of the service. Besides we collaborate with subject matter experts to provide training on basic computer use. For anyone living in the United States it is very important to speak, understand, read and write in English. Proficiency in English is basically one of the basic tools to succeed in this country which is a home away from home for all of us residing here. 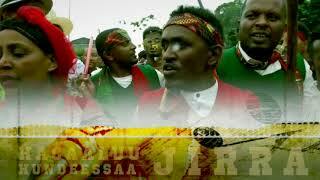 Almost all Oromos who were born in Oromia have Afaan Oromoo as their native language. In order to give this necessary tool for the new arrivals in our community, OCO provides English as a second language courses to those interested in improving their mastery of basic English conversation. Additionally, OCO provides basic Afaan Oromoo Proficiency courses provides to those Oromos who might want to improve mastery in their native language . The financial markets in our native Oromia are not as mature as they are here in the United States. Due to this huge gap some of community members may not be as comfortable dealing with financial institutions. OCO believes that having a basic knowledge of the financial institutions and how to utilize their services will help an individual towards achieving a financial freedom. We occasionally collaborate with subject matter experts to provide workshops in areas like: how to apply for mortgage, home buying process, how to open a checking/saving account, getting a personal loan, pros and cons of saving account etc. OCO collaborates with employment agencies and local employers to help community members specially those who are new to the country in finding their first job. To listen to archives of our radio programs please click here. The goal of this program is to increase the awareness of ?our members regarding immigration processes and laws pertaining to such cases. Being recent immigrants, almost all of our community members have a family member back in Oromia. Life lived being separated from their loved ones (parents, siblings, spouses and children) is very challenging for most. Even though our service wouldn’t and shouldn’t replace that of a qualified immigration attorney, we sponsor workshops and try to bring subject matter experts who can provide lectures on the subjects that relate most with the need of our community members. This includes path to citizenship, how to apply for work permit, asylum cases, how to sponsor a family member and so forth. The goal of this program is to inform community members with an up to date information regarding everything happening here in the community and back home. OCO used to run a radio program that was accessible to the community members in the Washington DC metropolitan area. We have also built a website to provide community related updates, commentaries and literature. To listen to old radio programs please click here.